Prepping experts will tell you that the most essential resource to stockpile is water. Not so. Even to the amateur survivalist, that is clearly nonsense. As a writer you have an essential and unquenchable need for coffee, whisky, or in an ideal world, both. Ensure you have a good stock of coffee. It will need to be of the instant variety unless you are lucky enough to salvage a cafetiere (simplest and most portable) or an oven-top coffee maker. Try to bear in mind that in a global disaster situation, there may be an interruption to power supplies, therefore don’t waste valuable time rescuing anything with a cable/plug. It is possible these days to procure an instant coffee of reasonable coffee – just remind yourself you are lucky to be alive and bravely drink it down. At this stage you are, after all, merely concentrating on survival. Ditto whisky. With regard to writing essentials such as pens or pencils, in order to survive and succour the sad remnants of the human race with your creative outpourings, you will need to have a good supply of pens and/or pencils. (I will explain later on about pencils.) I personally now sport knee-high socks at all times, as I have discovered I can comfortably fit twenty pens per leg into the socks; remember to keep knees and ankles unencumbered to ensure maximum mobility. A useful side-effect of storing your pens in this way is that should you receive a sharp blow to the shins, the pressure will be largely dissipated by the barrels of your pens. For this reason I favour the Ink Joy range by PaperMate, as the triangular shape of these make them not only comfortable to write with for a lengthy period but also they are unusually strong. Remember to insert them with the flat side against your leg, and the pointy side sticking out. If you have valuable pens or a favourite, by all means rescue it; the beauty of the small size of a pen means that they can be inserted without difficulty into almost any small nook or cranny. Obviously you will need paper. In view of the lack of electricity, don’t bother to rescue your laptop, tablet or PC. If you have a portable typewriter of the old school, by all means wrap it carefully in bin bags and suspend it from the bottom of your backpack, taking care that it doesn’t hang too low and impede your ability to walk or run. Otherwise, stockpile paper. This can of course be very heavy, so I would recommend acquiring a stash of cheap and flimsy notebooks from a budget store in your area. I’d recommend no lower than 60gsm however, as you do not want your deathless prose turned to mush by the first splashes of a shower of rain. It may be necessary to make your paper supplies go further than you have been used to in the past. Try to make your writing smaller, and employ the criss-cross method of writing that was so popular in the 1700 and 1800s. When you have filled your page, turn the sheet by 90 degrees and continue writing from this side. This is where the pencil comes into its own, as it is much easier to read a jumble of pencilled writing than biro. And also, remember it is essential for future generations that regardless of whatever may befall you, your writing MUST survive. Consider writing on wallpaper, as this has the advantage of being rolled up, thus protecting your work, and each sheet is huge! Also, a roll of wallpaper can be employed as a hammer or even a sturdy cosh, if required. As you plan your future survival, it is a great idea to choose items with more than one use. With writers everywhere surviving to cheer the remains of society with witty readings from their own collected works at camp firesides, there is no reason to feel despair or even anxiety should the worst happen. As a writer, it is your duty to ensure your own survival above all else, and of course, that of your works, even at the expense of doctors, nurses, farmers, engineers, builders, teachers. So don’t delay! Plan your survival kit now! Don’t wait until it is too late. 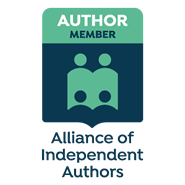 If you are an independent author, ensure all print copies of your books are available in the smallest format possible to make them more portable. Where possible you should have two copies of each work. If your books are very long, consider turning them into part-works, this will make them smaller and easier to carry. Oh, I’m so sharing this with my writing group and on my page! Wonderful! I’m so relieved to hear it – we need to get the word out to as many writers as possible to ensure the survival of our Art! Heh. As a writer with a perhaps unhealthy interest in potential destabilization of society, I thoroughly enjoyed this. It occurred to me that memorizing certain books, as in Fahrenheit 451, might be a good idea to pass them on in case the copies are mostly lost for a time. Who’s in? I’ll take the entire Odd Thomas series. It’s a deal – and being more of a traditional/classic gal, I’ll take a selected few Shakespeare and Agatha Christie, and for the kids, The House At Pooh Corner which I love for it’s subversive satire – esp where Pooh posits a random stick as ‘the north pole’. This is great and funny Carole, well done. Mmmm… Love the pens down the socks idea! We’ve just got back from a camping trip and could have asked you for some ideas for taking the obscure things that you can’t live without but take them so much for granted that you forget them! Well done as usual!